It has taken my years to perfect my brows, and Eyeko's old brow pen did the job perfectly. I was heartbroken when it was discontinued, and the similar products from other brands/retailers just never equalled it. I was sceptical purchasing this, but was assured by an 'expert' on the site that it would have an effect close to the original product. The brush allows for perfectly straight, yet somewhat natural looking lines. However, the product itself if very heavy, and is therefore difficult to transfer from the brush to the skin - you have to apply a lot of pressure which makes the lines incredibly thick, therefore very hard to pass as natural hairs. I would possibly buy this product again but would much rather see the return of the superior, precise brow pen. 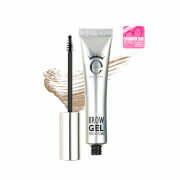 It has taken me years to perfect my brows, and Eyeko's old brow pen did the job perfectly, and the same products by other retailers have never proved as effective. After being assured by an advisor that this was a similar product I decided to buy it. 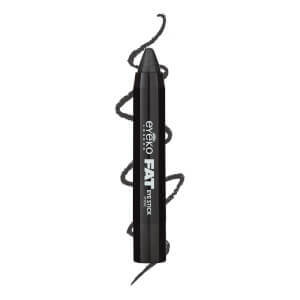 It does a decent enough job, allowing you to draw perfectly straight lines, but unfortunately the product is quite difficult to get from the brush to your skin, so a lot of pressure has to be applied, which makes the lines quite chunky and hard to pass for natural hairs. 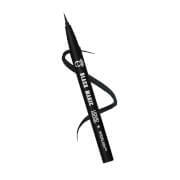 Would buy again but would much rather see the return of the brow pen for light, precise lines.